In a time when the legal drinking age is being called to question by college chancellors and presidents across the country, a study by Sam Houston State University assistant professor of economics Darren Grant challenges another youth drinking-related law: the zero tolerance policy. The study’s title, “Dead on Arrival: Zero Tolerance Laws Don’t Work,” says it all: laws aimed at preventing minors from drinking and driving have absolutely no effect. In his research, Grant analyzed nationwide data on nearly 30,000 fatalities in nighttime accidents involving drivers under 21, examining the number of accidents and the blood alcohol content of the drivers involved. The original research used data on traffic fatalities from the department of transportation, data on laws and some other variables from all 50 states. Zero tolerance laws became prevalent during the 1990s, when the U.S. Congress threatened to withhold highway funding from states that didn’t comply, according to Grant. Grant argues that the logic behind zero tolerance laws is “suspect,” as they don’t change the penalties for drunk driving, only the legal blood alcohol limit. “It’s not making the penalty for drunk driving harsher,” he said. “It is just harder to satisfy the law. Drivers now have to give up drinking all together. It’s more exacting in that sense. Surprisingly, however, Grant found neither of these outcomes—that people drank more or less—occurred. As part of the study, Grant compared the blood alcohol distribution two calendar years before and two calendar years after zero tolerance laws were established in each state. If a state passed the law in 1998, for example, he used the 1996 and 1997 data, as well as the 1999 and 2000 data. 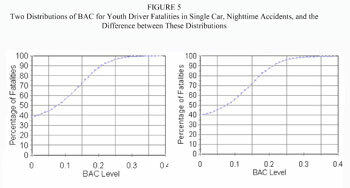 Grant charted the percentage of youth driver fatalities by the blood alcohol content level from accident reports both two years before a state instituted its zero tolerance laws for minors (left) and two years after the laws were established (right). The result, that the two look identical, "just hits you right in the face," he said. What he found was when the information was mapped, or put in graph form, the maps look identical for both before and after the laws were enacted. Data from fatalities were used because they are the only data collected in the U.S. that are “complete enough to do a study on each state over a period of several years on traffic outcomes is fatalities,” Grant said. 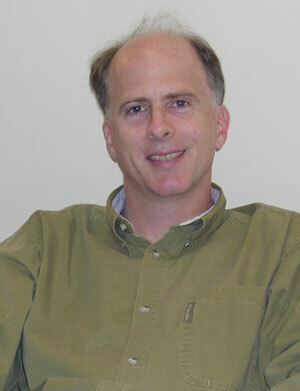 Grant’s colleague, Donald Freeman, who also chairs the economics and international business department, completed a similar study in 2007 on tightening drunk driving laws that yielded similar results. Freeman’s study stated that .08 laws were ineffectual. Both studies extend earlier research on drunk driving laws in terms of the span of data studied and the techniques used to analyze the data. The negative conclusions of both studies, that the laws were ineffectual, result from the improved study design, Grant said. By looking at the statistics using both the numbers of fatalities and the effect on the distribution of blood alcohol, Grant said his findings are more precise because they reinforce each other. “One finding is that the fractions of heavy drinkers, mild drinkers, and nondrinkers in these accidents are unchanged; the other finding is that the total fatalities are also unchanged. If you’re able to get at something two different ways, it yields a more powerful conclusion,” he said. “Dead on Arrival: Zero Tolerance Laws Don’t Work” will be published in the journal Economic Inquiry within the next year.